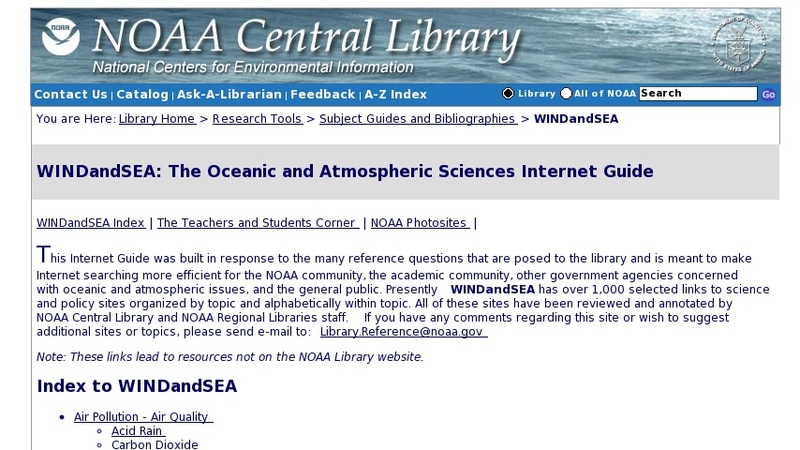 Site was built in response to the many reference questions that are posed to the library and is meant to make internet searching more efficient for those concerned with oceanic and atmospheric issues, and the general public. Presently WINDandSEA has over 1,000 links to science and policy sites organized by topic and alphabetically within topic. All sites have been reviewed and annotated by NOAA staff.